Home » News Story » Pianists have faster reaction times. Fact. January 27, 2017 January 27, 2017 1 Comment on Pianists have faster reaction times. Fact. 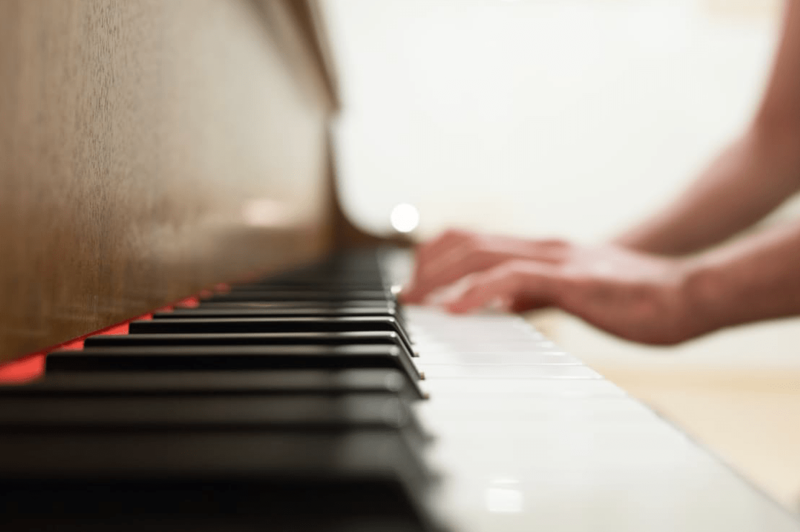 Recently released research by Simon Landry and François Champoux at the University of Montreal has found that musicians respond faster to sensory stimuli than non-musicians. Landry, the lead researcher, set about comparing the reaction times of 16 musicians (all with at least seven years of training) and 19 non-musicians. He measured audio, tactile and audio-tactile stimulations. The methodology was to sit the subjects in a quiet room in front of a pair of speakers, with one hand on a computer mouse, and the other on a small box that intermittently vibrated. They were then required to click the mouse when: they heard a sound from the speakers (audio); the box vibrated (tactile); or when both things simultaneously occurred (audio-tactile). The tests were each performed 180 times. The results showed the musicians’ reaction times to be significantly faster. Landry sees the obvious benefits in being a musician. He concludes that music could be a way to assist people with slow reaction times, and that playing an instrument in older age when reaction times are naturally slowing, could be extremely helpful. Landry is keen to continue studying how playing a musical instrument has non-musical benefits. Also it would be interesting to now compare musicians’ reaction times with other groups, say Formula 1 drivers! Perhaps we could then get lower car insurance premiums. This research paper was published in the US journal Brain and Cognition. The Canadian Institute of Health Research (CIHR), the Natural Sciences and Engineering Research Council of Canada (NSERC), and Health Canada (Santé Canada) jointly funded the project.. Musicians generally also recover from brain damage (‘strokes’) better than non-musicians. In January 1980 I had a severe stroke was in intensive care for six weeks. The surgeons told my wife that if I regained consciousness I would probably be permanently paralysed and need constant care and attention …..like an additional small child in addition to the three we already had. This forecast proved to be wrong as indicated by the show which I produced in the aula of the hospital in November of the same year. This was the beginning of a project which goes way beyond patient care in hospitals, many aspects of which politicians have proved to be, to say the least, incompetent. We have also seen that many of the world’s problems are not due to differences between ordinary people but the incompetence of those who are negotiating i.e. politicians. This reply goes way beyond pianists having faster reaction times and into the realms of musicians in general have a greater understanding of Joe Public’s needs and potentially the means of satisfying them.